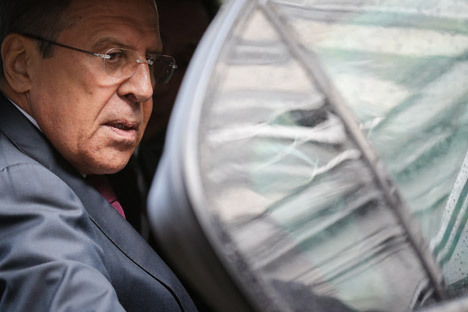 The visit of Russian Foreign Minister Sergei Lavrov to Brussels earlier this week is indicative of Moscow’s desire to explore constructive avenues of interaction with the European Union, and, particularly, to resolve the crisis in Ukraine diplomatically, through dialogue. Lavrov’s just-concluded visit to Brussels and Kerry and Nuland’s recent visits to Moscow have highlighted the frenetic diplomatic efforts currently on to provide a resolution of the crisis in Ukraine through dialogue, with special emphasis on implementing the conditions of the Minsk Agreements. According to analysts, the Obama administration is increasingly veering towards support of the Minsk agreements and away from arming the rebels in Donbass and areas within Ukraine.